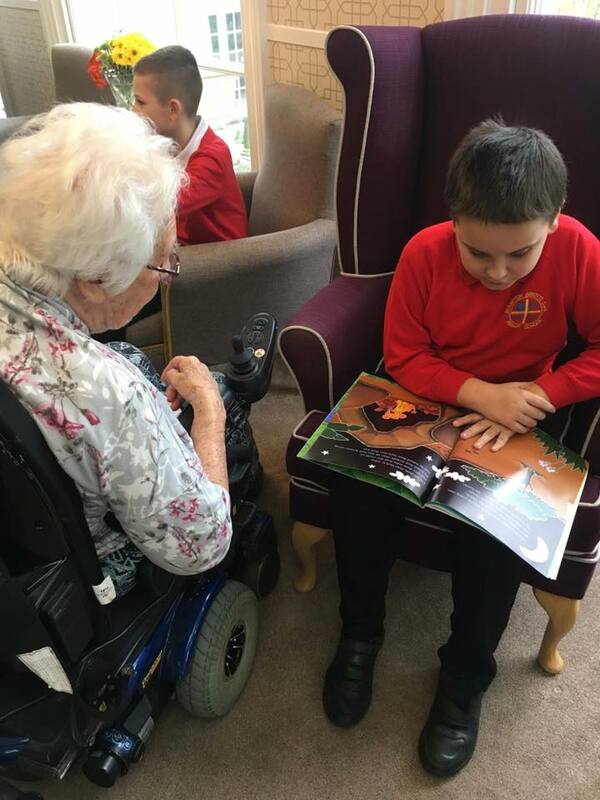 Residents at brighterkind’s Ross Court Care Home in Ross-on-Wye recently enjoyed a visit from year 5 pupils at Brampton Abbots Primary School. 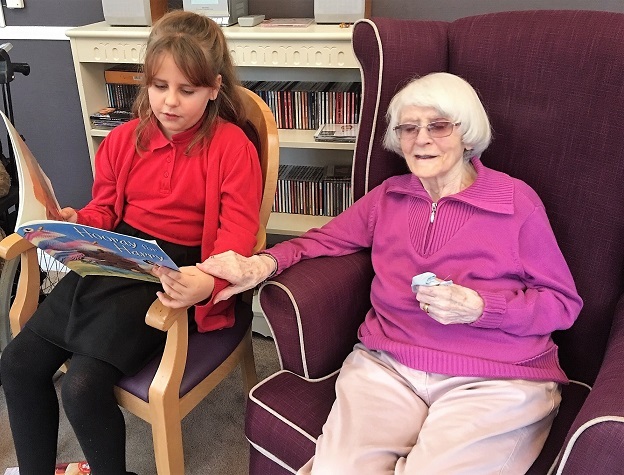 The visit was arranged as part of a Wishing Well wish for our resident Winifred Reynolds who had asked to spend some time with children and hear them reading. 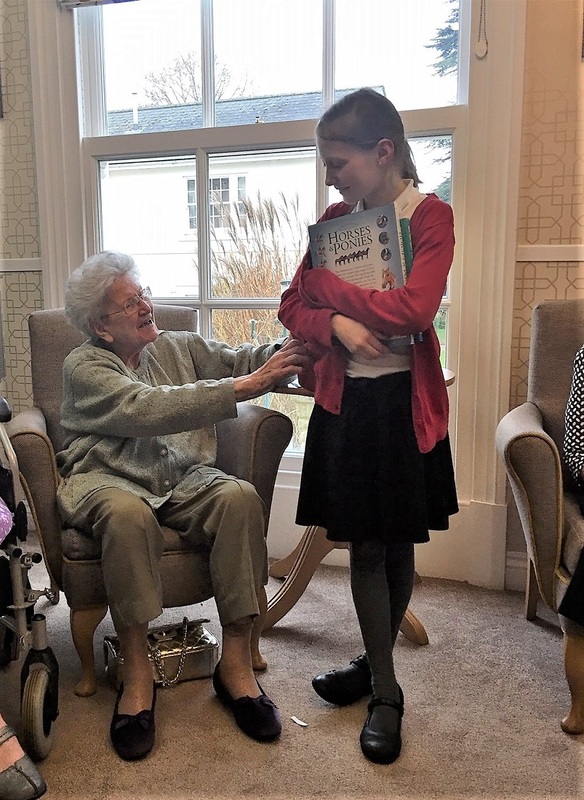 Six pupils came along to our home and each brought two of their favourite books with them to share with the residents who all thoroughly enjoyed listening to the stories. Everyone agreed that the afternoon worked really well and that a repeat visit would be something that both the young and not so young would look forward to in the future. brighterkind runs their Wishing Well programme in all of its 70 care homes. Right from the beginning we aim to find out about our residents' life stories and get to know the things they would really like to do or what they have done in the past and would love to do again. People are helped to experience their chosen activities or events or to visit places they have long wanted to go. Ross Court care Home is located in Ross-on-Wye, Herefordshire, and provides residential care and respite care.